Suspended aquariums, snowy landscapes, jungles and caves can all be found in the heart of the city, steps away from dense urban housing, in the middle of this wild skyscraper concept. 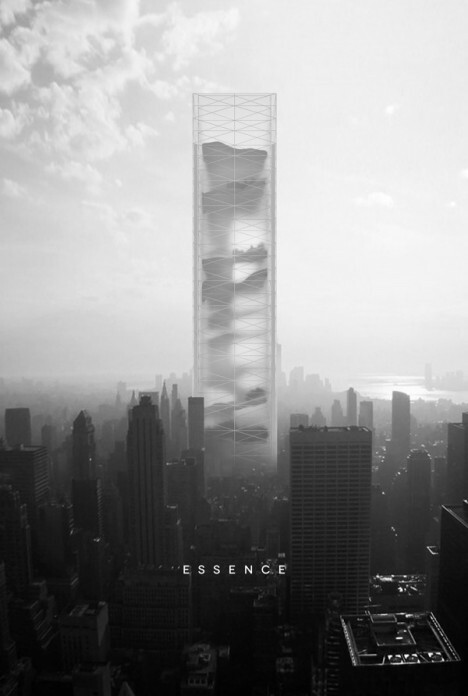 Winner of eVolo magazine’s 2015 skyscraper competition, ‘Essence’ by BOMP re-introduces nature to heavily developed areas with eleven diverse landscapes built right into its core. 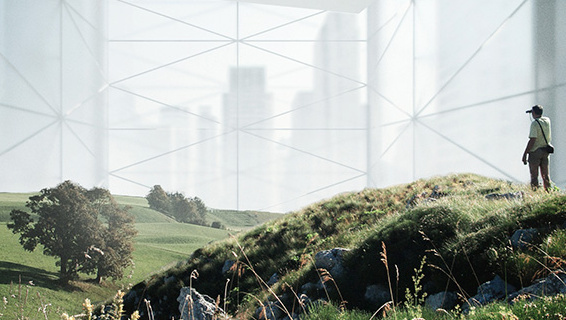 The futuristic urban tower design aims to be a secret garden in the middle of the city, combining architecture and nature within an environment where wildlife and greenery are rarely found outside of parks. “The main goal of this project is to position non-architectural phenomena in an urban fabric,” say the designers. Open to the public, this series of natural spaces includes fish tanks lifted 30 meters above the floor and other natural features, with different paths offering different adventures. Each is positioned beside large glazed walls overlooking the city, offering a strange juxtaposition of environments. See the rest of the contest entries at eVolo.